Some may remember my second contribution to Birding Is Fun that dealt with some of the odd names given to bird species. This month I bring you the sequel, where we’ll dig a little deeper into the sometimes wacky world of names given to birds, plus we'll look at the "the long and short if it." Last time we stayed in the western hemisphere, but this time we’ll also take a more global perspective – odd names are to be found around the planet. Let’s start with a couple of widespread North American woodpeckers – Downy and Hairy. 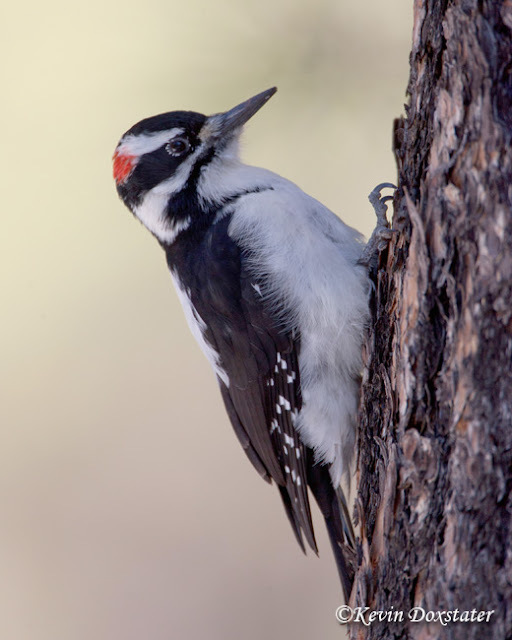 They seem like odd names for a bird, especially for the Hairy Woodpecker, since birds don’t have hair. First described from specimens (dead ones), their names describe the white strip of feathers on their backs: short and very soft on a Downy, long and kind of shaggy on the Hairy. Probably not something you’d notice through your binoculars, but there you go. Another I've often wondered about was Anhinga . . . which turns to be based upon the name given to this species by the Tupi, a native people of Brazil. 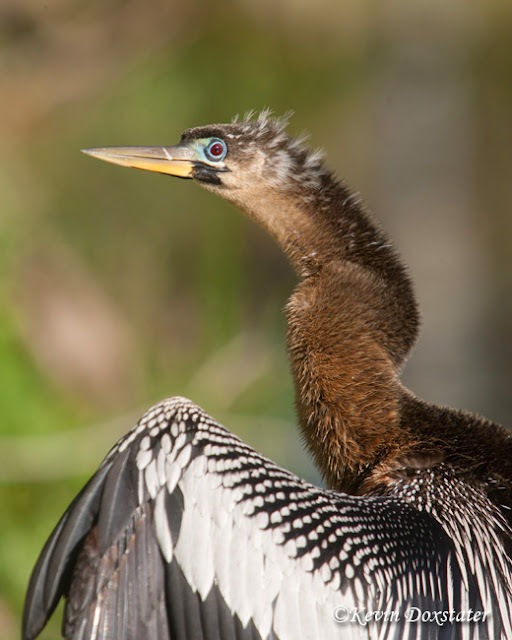 The original word loosely translates to “devil-bird” but is sometimes translated as “snake-bird.” A lot of creativity went into the scientific name, Anhinga anhinga. Speaking of scientific names, how about the Troglodytidae? These are the wrens and, except for the Eurasian Wren, all are found in the New World. From the Greek, the name means “cave dweller” and likely comes from the fact that most members of the family nest, roost, and frequently forage in cavities or crevices, though these may be in trees or cliffs. 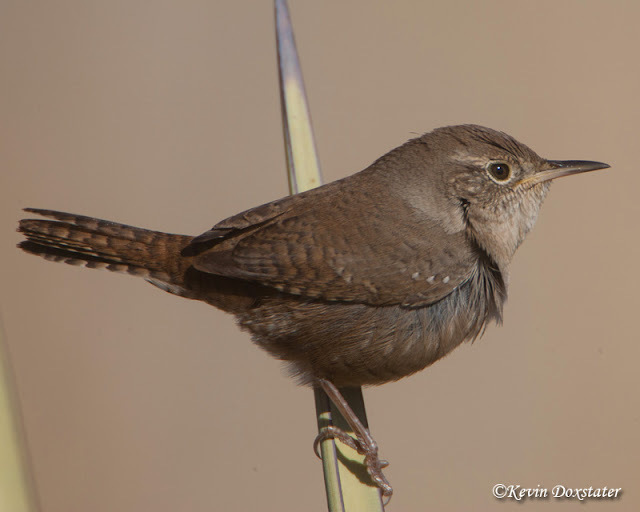 Of the 20 different genera in the family, one is named Troglodytes and, in North America, includes House Wren, Eastern Winter Wren, and Pacific Wren; several more in this genus occur in Central and South America. A couple of notes: 1.) The Eurasian, Eastern Winter, and Pacific were formerly considered one species, Winter Wren; 2.) There are other birds in the world that are called wrens, but genetically do not fit into this family. Another exercise I tackled this time around was longest and shortest common names. That turned out to be something of a challenge since there are names that include characters other than just letters. For example, the shortest name using only letters has just two and is member of the Hawaiian honeycreeper family that hasn’t been declared officially extinct, though the last confirmed sighting was in 1989, ‘Ō’ū (Psittirostra psittacea). If we count the apostrophes, then it’s four characters, so the shortest names I could find using only letters would have three: Emu (Australia), Kea, and Tui (both New Zealand). 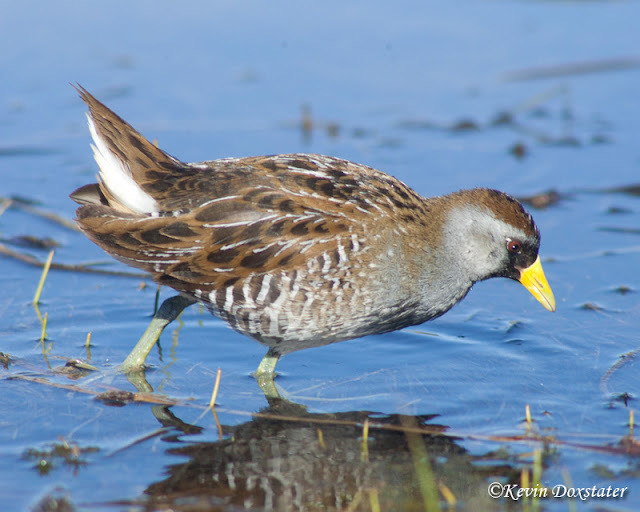 In North America the shortest have four letters: Sora and Ruff (from Hawaii we also have Nene). For the longest names hyphens really into play and the longest I could find was an Asian Old World Warbler (that occasionally shows up in Alaska) Middendorff'sGrasshopper-Warbler (with 32 characters not counting spaces). If we don’t count the hyphen we end up with a tie between the Middendorff’s and the Magellanic Flightless Steamer Duck (also known by the much shorter Fuegian Steamer Duck name) at 31 characters. There could be a dispute from some because of Prigogine's Double-collared Sunbird from Africa (33), but this one is usually considered to be a subspecies of Greater Double-collared Sunbird. 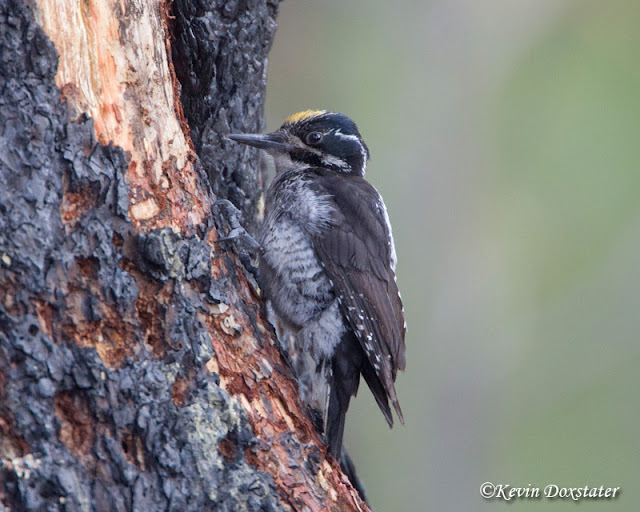 For North America breeding birds there appears to be a tie between American Three-toed Woodpecker and Northern Beardless-tyrannulet at 28 characters including hyphens. If you should find others with shorter or longer names, please leave a comment and, of course, we may find longer common names if we look at languages other than English (or Hawaiian). And, finally, to wrap up the name game, a short selection of odd names – a list that would certainly include the aforementioned Magellanic Flightless Steamer Duck. Obviously named for their vocalizations, we have the Northern, Southern, and Horned Screamers, South American birds that look like they’d be related to chickens but are actually related to ducks, geese, and swans. Then we have Noisy Friarbird of New Guinea and eastern Australia – guess they vocalize a lot, too, eh? In New Zealand there is a small bird called Rifleman that gets its name because the plumage is similar in color and pattern to the uniform worn by a New Zealand colonial military regiment. Last, but not least, one of the strangest names of all has to be South America’s Firewood-gatherer. It’s gathering up all those sticks to build a rather elaborate nest, but there are no field reports of those nests including a fireplace or wood burning stove . . . Interesting post, Kevin. I always thought "Laughing Gull" was a fun name. The Hawaiian Hawk's Hawaiian name is 'Io, a short, sweet name -- found only on the big island of Hawaii. For a long name, fun to say, I always liked Black-bellied Whistling Duck. Woo! This was a blast to read Kevin. Nice research work there with birds and etymologies. Funny that one of North America's smallest Flycatchers has the longest name. Last summer in California I took pictures of the Red-Tailed Hawk. Now they are on my blog. I hope you like it so as I love yours. Thanks - glad you enjoyed the post! It was a lot of fun to put together, especially researching the odd names. Every time I thought I had found the oddest, something else would come up to top it. And the Rifleman is a really pretty little bird . . .
Fun post filled with interesting information and stunning photographs! I learned something new today. Thank you! I'm behind on my blog reading, and just caught up with this. Very enjoyable post. Love your photos!